The Red Bull Skate Generation 2012 has yelded an unprecedented crop of stories, pictures and clips like never before. That's because bowl riding is becoming more prevalent in today's skateboarding and the mainstream skateboarding media seems more and more interested instead of just pushing the forward button. That's also because Andre Barros and the crew at RTMF have done a remarkable job at marteking and selling the contest. 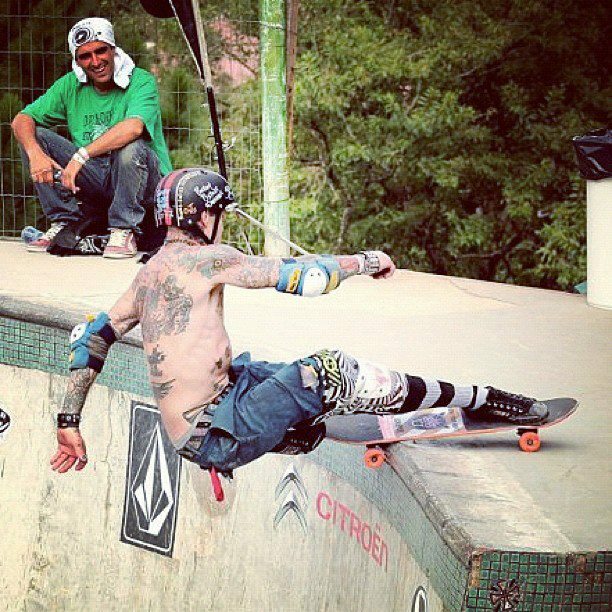 It's no secret that Christian Hosoi and Duane Peters lauded the contest everywhere, which is definitively a sign that the contest was way above the norm and dign to be included in the WCS circuit on the same level as the upcoming Combi Pool Party and the Bowl-A-Rama. Here is another film done by Bulletree Films, an independent production company formed in 2010 by Diego Ribas Zeferino and Mark in the city of Camboriú, in Brazil. Bulletree Films main goal is to experimentally express everything that makes up their reality, dreams, and so therefore their way of thinking and acting.